Dubai’s Emirates Airline looks set to become the brand sponsor of the oldest knockout football competition in the world, the FA Cup. As part of a reported $46 million (£30 million) three-year deal, the competition will be renamed the Emirates FA Cup. The FA failed to secure a sponsor for this year’s competition, after drinks giant Budweiser declined to renew its deal and a deal to secure a replacement broke down at the last minute. The Emirates deal would also be an improvement on the $13 million a year deal with Budweiser, with the Dubai-based carrier set to pay just over $13 million in the deal, which is set to be approved tomorrow (Thursday, April 30) when the FA board meets, according to reports in UK media. However, the deal is not expected to be officially announced until closer to the FA Cup final on May 30 between Arsenal and Aston Villa. The rebranding of the competition as Emirates FA Cup is a shift from former sponsorship agreements, which have been styled as “in association with”, although a previous deal with Axa was similar when it was known as the Axa-sponsored FA Cup. “Emirates can confirm discussions with the English Football Association (FA) regarding a sponsorship partnership is underway. Once an agreement has been reached, we will be in a position to share more information,” a spokesperson told Arabian Business. Emirates already has a significant sponsorship portfolio in the UK and Europe, already sponsoring Arsenal’s stadium and shirts as well as European giants Real Madrid, Paris Saint-Germain and AC Milan. The airline, however, recently decided against renewing its sponsorship contract with football governing body FIFA. Nike turned 50 this year. To celebrate, a UK gym, My Fitness Boutique, has created this infographic to celebrate the shoe and apparel company’s five decades in business. We’ve picked out some of the most interesting factlets from the infographic, and a few snippets from around the web, that many people may never have known about the world’s most famous sports brand. 1. Nike was founded in 1964 as Blue Ribbon Sports and initially operated as a distributor for the Japanese shoemaker Onitsuka Tiger (now known as Asics). It officially became Nike Inc. in 1971. 2. The company was founded with just $1,200 in the bank. It was created by Bill Bowerman — a track-and-field coach — and Phil Knight, a middle-distance runner from Portland who was enrolled in the University of Oregon. NikeNike cofounder and chairman Phil Knight. Wikimedia Creative Commons 4. The first Nike shoes were made inside a waffle iron. Bowerman’s first eureka moment for footwear innovation came in 1971, when he and his wife were making waffles for breakfast: It sparked an idea for a grooved pattern on the sole of trainers to help athletes grip running tracks. It spawned the “Nike Waffle Trainer,” patented in 1974 (at the expense of his wife Barbara’s waffle iron), Nike explains on its press site. NikeNike cofounder Bill Bowerman, inventing. 5. The Nike swoosh was designed by Portland State University student Carolyn Davidson, for just $35 (just over $200 in today’s currency). At a later stage she was given stock that is now worth more than $640,000. 7. The first “Just Do It” campaign launched in 1988. The ad featured Walt Stack, a then 80-year-old running icon, plodding across the Golden Gate Bridge. 8. Despite the fact that he hasn’t played basketball professionally since 2003, Michael Jordan still reportedly earns $60 million annually in royalties from Nike, according to Forbes. That makes him the athlete with — by far — the biggest Nike endorsement deal. AP ImagesMichael Jordan. 9. Romanian tennis professional Ilie Nastase, “the Bucharest Buffoon,” was the first athlete to sign an endorsement contract with Nike, in 1972. Nastase was a gifted tennis player but also became infamous for his erratic temperament and was lumped with several fines, suspensions, and disqualifications throughout his career. Tony Duffy/Gareth Cattermole/Getty ImagesIlie Nastase, pictured here wearing rival Adidas. 11. The world’s largest Nike store is not in its US homeland but on London’s Oxford Street. It cost £10.5 million to build the store, which spans three levels and roughly 42,000 feet. It was constructed around the theme of a town square. 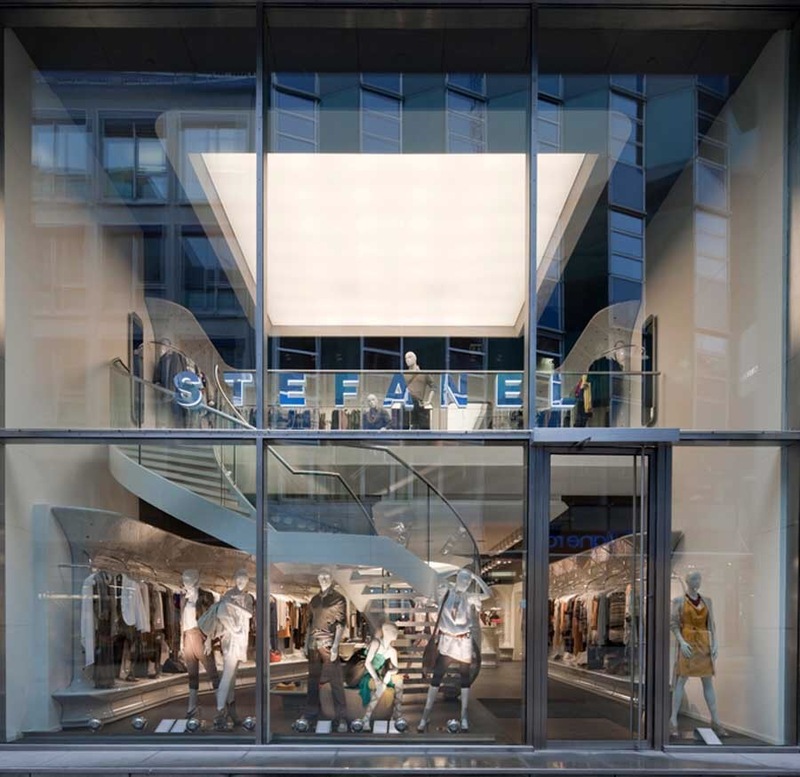 Italian fashion retailer Stefanel is set to open another store in London after securing a location on Regent Street, after signing a ten-year lease with the Regent Street Partnership, which comprises The Crown Estate and Norges Bank Investment Management. The 2,600 square foot flagship spans across the basement and ground floors at 78 Regent Street and will open later this year. The new location will see the Italian fashion brand neighbouring with top retailers including luxury accessories and lifestyle brand Coach, Banana Republic, Burberry, COS, J Crew and Michael Kors. The Regent Street flagship will mark the brand’s seventh store in the London area. The brand also has stores in Manchester, Birmingham, Cardiff and Guildford. British leather goods maker Mulberry is celebrating the opening of its new Paris flagship store with an animated social video. The fashion label moved its Parisian boutique down the street from 207 to 275 Rue Saint-Honoré. While not a dramatic move, promoting the relocation on social media will help ensure that consumers do not miss the store as they are looking to shop with the brand. A woman and girl stand outside Mulberry’s store in London on New Bond Street. The girl lets go of a Mulberry-logoed balloon and it soars above Big Ben and the London Eye, eventually passing a Parisian hotel room’s open window overlooking the Eiffel Tower and an outdoor café. The balloon finally floats through the doors to Mulberry’s new boutique. On social media, Mulberry also linked to a Mulberry Loves Paris page of its Web site, which delves into the boutique. Here, consumers can read about the monogramming bar central to the store, as well as the brand’s “English sensibilities” reflected through the space. 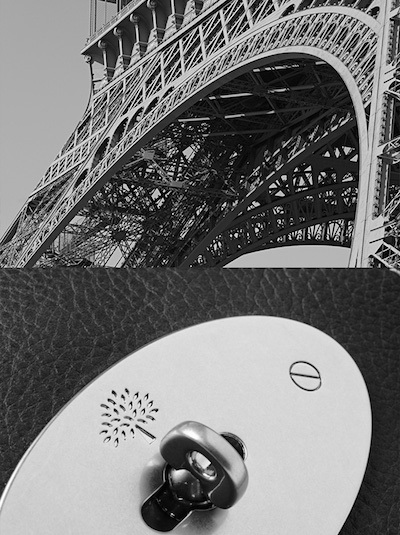 Also in celebration, an article on Mulberry’s blog uses photos to compare the construction between the brand’s Bayswater bag and the Eiffel Tower. A second post shares an interview with artist Genevieve Bennett, who created leather panels for the new store. Brands often include their loyal fans in store openings, whether in-person or remotely. In 2014, French apparel and accessories brand Longchamp feted its store opening on the Champs Elysées in Paris with a live-stream of the event and social media content. Tommy Hilfiger has opened a new anchor store in the heart of Berlin’s Mitte neighbourhood, a hotspot for fashion and eclectic street style. The spacious store, designed by rpa:group, covers two floors with a sales area of 347 sq m. It offers the full range of Tommy Hilfiger collections, including men’s sportswear, women’s sportswear, men’s tailoring, Hilfiger Denim, footwear and accessories. The concept was adapted around the original 19th century building and its beautiful period characteristics; a unique setting that celebrates the brand’s ‘classic American cool’ heritage. As the building is listed, the architecture team set out to both preserve and emphasise areas of the existing building and use the opportunity to restore original elements such as ornamental ceilings, mouldings, ornate column heads and delicate woodwork where possible. In particular, the period fireplace and wood panelling were listed elements and every attempt was made to ensure that these features worked with the building’s new interior look. Antique brass fixturs and period seating were also sourced to give the whole design that extra dimension. The parquet floors are new – the herringbone design has become a real Tommy Hilfiger brand element, although they do have a strong period feel that’s complementary to the overall look and feel of the building. rpa:group specified a new staircase, inspired by the wrought iron balustrades revealed throughout other areas of the building. 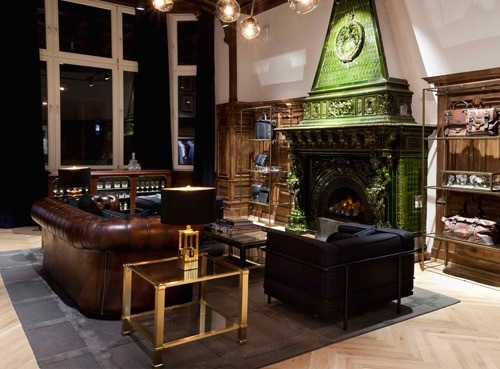 The staircase leads to the menswear setion, which features leather sofas and a beautiful period green glazed fireplace, which has become the focal point of the room. The room was designed to give the ambience of a gentleman’s club. 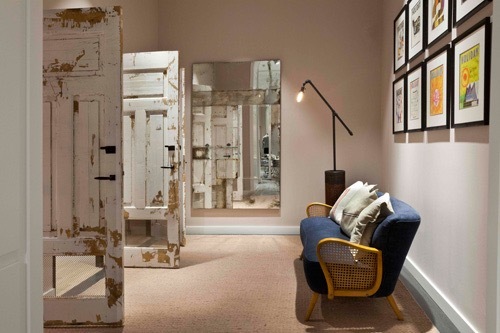 impressive doors in the changing room area have been specially made to emulate architectural salvage. They lend a feel of shabby chic to the overall feel of the store, which is a blend of period elegance and post-industrial design. 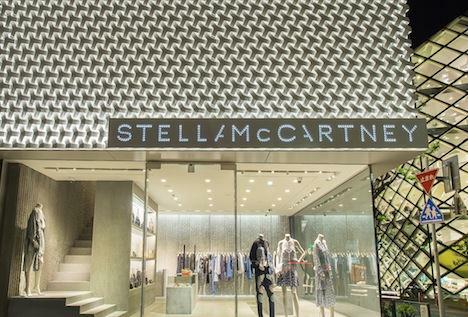 Covering 170 square meters and spread over 3 floors within a cantilevered woven mesh white cube façade made of aluminium, the new location incorporates the Stella McCartney store design concept using simple and natural materials combined with contrasting sculptural details. Street facing windows introduce a new concept featuring full sized digital projections with curated original content. 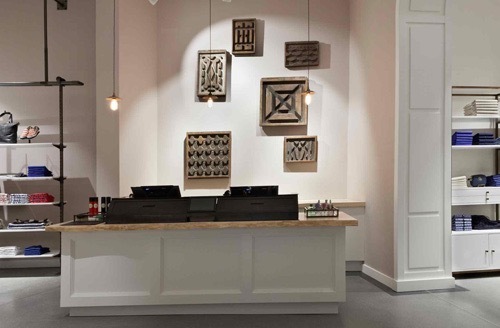 The principle store material and utilized throughout the space, concrete mixed with Japanese aggregates in different formats including: ribbed wall panels, rough free standing fixtures and smooth coated floor panels. French Connection revealed earlier this month that revealing its retail sales will be significantly lower than expected, sending its stock to 39 pence each (-26 percent). The fashion chain, had previously forecast a 500,000 pounds profit for the coming year but it came in as the expected 3.5 million pounds loss. It is noteworthy that the British retailer, which has reported a full year loss for the past three years, had hoped to make a profit this time. “The first-half retail sales performance is now forecast to be materially lower than expected … The financial performance for the year is now expected to be below the current market expectations,” summed up the company in a note. The anticipated new ranges at the fashion brand were not enough to reverse the fate of this year’s results, as the retailer revealed a full-year pre-tax loss of 800,000 pounds in March. “We also believe that there has been a step back in the quality and depth of the ranges in the stores,” said in this regard Freddie George at Cantor Fitzgerald. On the wake of the news, French Connection Group (LON:FCCN)‘s stock had its ‘buy’ rating restated by Numis Securities Ltd in a research note. Separately, analysts at Cantor Fitzgerald Europe reiterated their ‘hold’ recommendation on the stock and set a 60 pence price target on shares of French Connection Group in a research note on Friday. The day French Connection Group presented its annual figures, its shares (LON:FCCN) opened at 42.09 pence, compared to a 1-year low of 38.25 pence and a 1-year high of 93.79 pence. The stock’s 50-day moving average is 54 pence, giving the company a current market cap of 40.48 million pounds. The company said its current cash levels were 9.9 million pounds with no debt, compared with 12 million pounds a year earlier, reported Reuters. 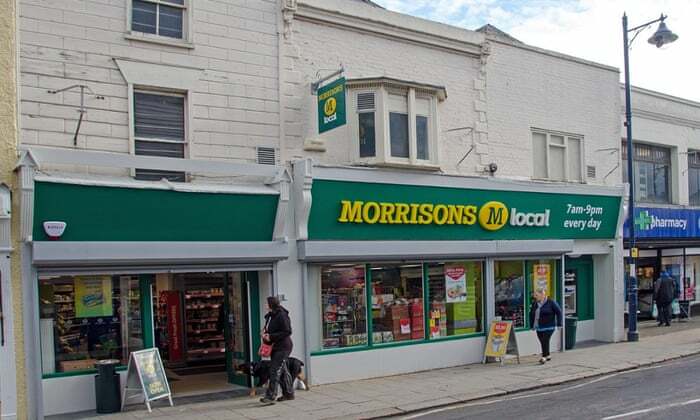 Former Morrisons chief executive Dalton Philips doubled his pay last year to £2.1m and will receive a further £1.1m payoff despite being sacked after a slump in sales and profits at the supermarket chain. Philips, who left in January, was awarded a £1m annual bonus in cash on top of his £850,000 salary, £213,000 in pension payments and £28,000 in benefits including a car allowance and private health insurance, according to Morrisons’ annual report published on Monday. Normally, the company defers half of directors’ annual bonuses in shares for three years but the board decided that strategy was not necessary as they were not trying to retain Philips’s services, which is cited as the main purpose of a deferral. In addition, the Irishman will collect a £1.1m payoff in 12 monthly instalments. This includes salary, benefits and pension payments for up to 12 months after his exit. On top of his salary package and payoff, earlier this year Phillips collected shares worth about £475,000 relating to his 2011 annual bonus and could be in line for shares worth more than £500,000 in 2017 if performance targets are met. Philips’s replacement, David Potts, could earn up to £5.1m if he meets performance targets. Like his predecessor, he will receive a basic salary of £850,000 and could earn up to double that in an annual bonus if he meets certain objectives. But Potts could also earn a further £2.55m in long-term incentive shares, or three times his salary, compared to a potential 240% possible for his predecessor. 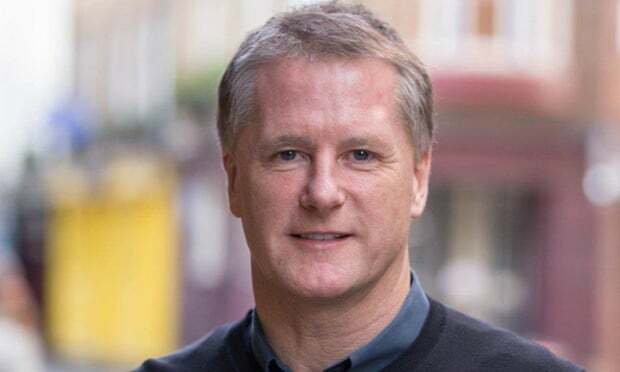 Morrisons said it was giving Potts the opportunity to earn a higher than normal share bonus over the next three years as “an immediate performance driver and alignment with shareholders”. 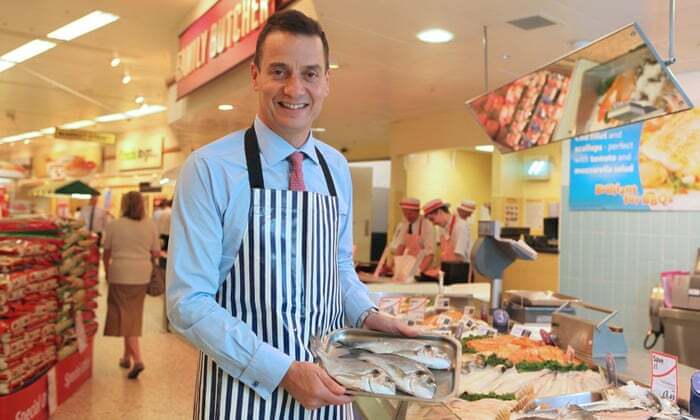 The former Tesco executive, who did not have a full-time role when he was hired to join Morrisons, will have to meet free cash flow, underlying earnings and total sales targets in order to collect the full award. Potts’s potential earnings outstrip those of finance director Trevor Strain despite the executive’s 7% pay rise this year. 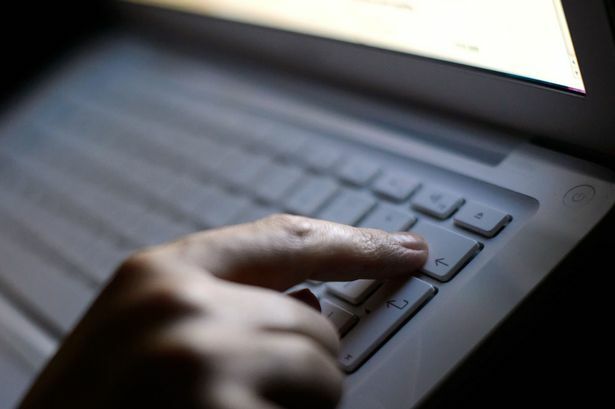 Strain earned £1.2m last year, including a £490,000 basic salary and a £602,000 bonus. His basic salary will now be £525,000. It has been revealed that an overstatement of profits worth £63m (€88m) at Tesco occurred in the retailer’s Irish arm of its business. 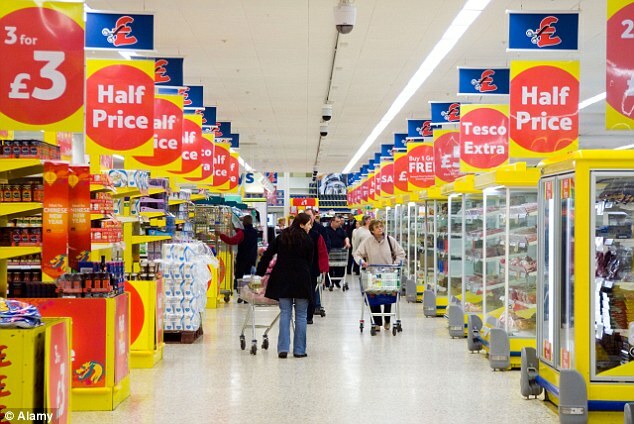 Last September Tesco made the shock announcement that it had overstated profits to the tune of £250m (€347.5m). The majority of this was made up of supplier payments worth €201.5m which had been incorrectly recorded as profits. 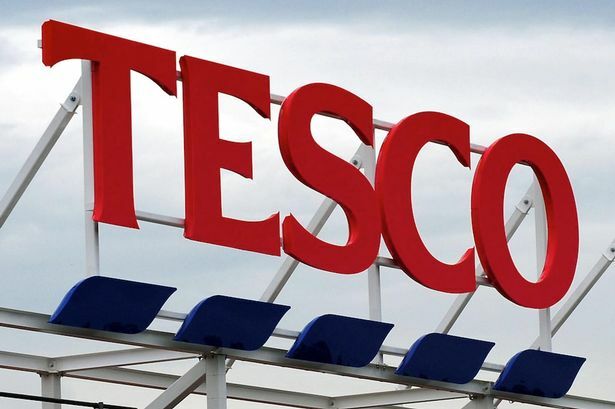 In the retailer’s full-year results announced last week, Tesco reported an extra profit adjustment from its treatment of supplier payments of £63m (€88m) to £208m (€289m). ShelfLife contributor Dan White revealed in the Sunday Independent that Tesco Ireland confirmed that all of this increased profit adjustment occurred in this country, stating: “The additional amount related to income in the Irish business”. 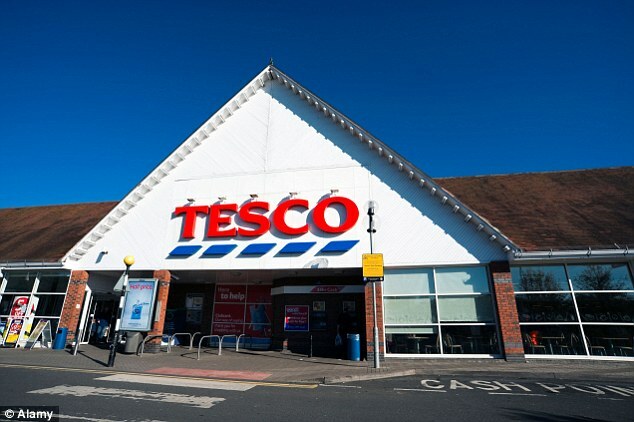 Although the original £145m profit overstatement caused by supplier payments amounted to just 0.33% of Tesco’s UK sales, the latest £63m adjustment equals 3.1% of Tesco’s Irish sales. The Irish profit adjustment is subsequently proportionately more than nine times greater here compared to the UK. Tesco Ireland said it was “unable to comment further” on the matter. The news has once again put the spotlight on the grocery sector draft regulations that Jobs and Enterprise Minister Richard Bruton has yet to approve. Re.Store, a new Irish food, coffee and convenience concept has joined forces with Ireland’s leading fuel retailer, Topaz, to provide a new in-store experience. The concept has launched in over 26 Topaz company-owned sites so far with this number set to swell to 150 branches before the end of 2015 and an investment of over €25 million by the company. Providing a balanced and nutritious range of fresh, healthy and tasty food for people on-the-go, Re.Store is delivering greater choices in food and coffee at service stations throughout the country. At Re.Store, the company says the finest beans and superior blends combine with the care and attention of skilled baristas to ensure every cup is made to perfection. Topaz identified a growing need amongst Irish customers for a fresh, healthy option when on the move. It believes Re.Store meets and exceeds this need, with handcrafted coffees and great-tasting food packed with healthy goodness. 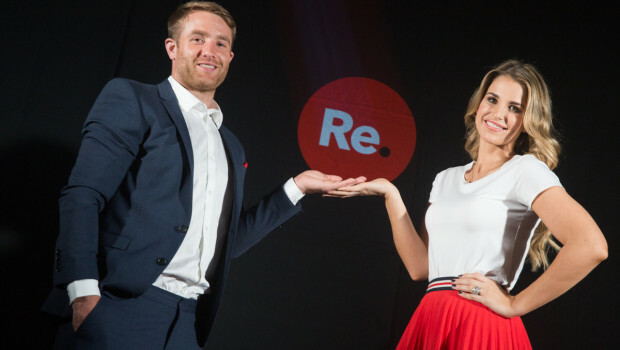 The company added that the Re.Store brand delivers “a completely new and innovative approach to forecourt convenience retailing and will revolutionise the standards, quality and the overall customer experience of forecourt dining”. O’Neill also stressed the fact that Re.Store uses Irish sourced ingredients and is “an Irish concept delivered by an Irish company”. Marka, a UAE-based retail and hospitality firm, has announced that it has acquired a majority stake in Cheeky Monkeys Playland & Sweet Surprises, an edutainment concept designed as a destination where children learn as they play. Marka said in a statement that it plans to open an additional eight Cheeky Monkey outlets across the GCC before 2018 following the deal. The move by Marka follows the company’s recent announcements that it will pursue a 2015 strategy focused on securing profitable retail operations with brands that show strong growth potential. “The acquisition of a majority stake in Cheeky Monkeys is in line with Marka’s strategy to invest in and develop home-grown brands,” said Khaled Almheiri, vice chairman, Marka. “Our due diligence has shown that the company has a solid track record of revenues and operations driven by an experienced and entrepreneurial team. “The Marka Board of Directors believes that this investment will diversify Marka’s operations while immediately adding to our bottom line,” he added. Shazad Ali & Saima Khan, owners of Cheeky Monkeys Playland & Sweet Surprises, said: “Cheeky Monkeys has ambitious and aggressive expansion plans that include opening new destinations, undertaking more events each year and increasing the services and facilities we provide our children and their parents. Cheeky Monkeys’ four facilities at Al Barsha, Mirdif and Jumeirah Beach Residence and J3 Mall each include such features as an Arts & Crafts Garden, a Monkey Clubhouse, a Lego Station, an Open Gym, classrooms and party rooms. The company offers full turnkey solutions for kids’ event management along with venue services and conducts more than 2,000 children’s events each year. “Close on the heels of our acquisition of Retailcorp and its 15 sporting goods stores, we are diversifying operations under our sports vertical by taking a majority stake in Cheeky Monkeys. We are confident that 2015 will be a watershed year in Marka’s development,” added Almheiri. 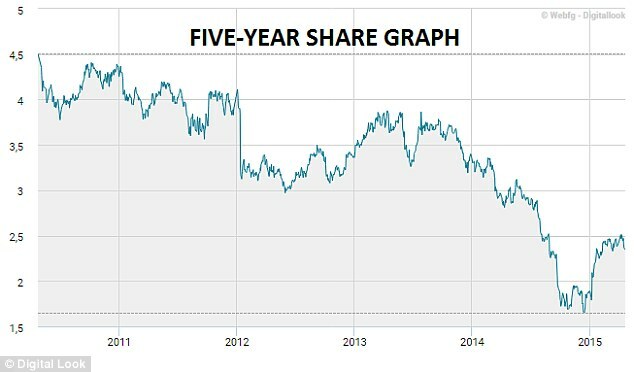 Tesco has announced a ‘horror show’ loss of £6.38billion – the biggest in its 97-year history – meaning today could be a good opportunity for investors to try to capitalise on a lower share price. The downturn for the year to February 28, also one of the largest in UK corporate history, reflects a seismic shift in shopping habits which has savaged sales and the value of its stores empire. The firm’s shares rose 2 per cent this morning as investors welcomed recent signs of improved trading – after UK like-for-like sales rose 0.6 per cent in the last quarter of the financial year. 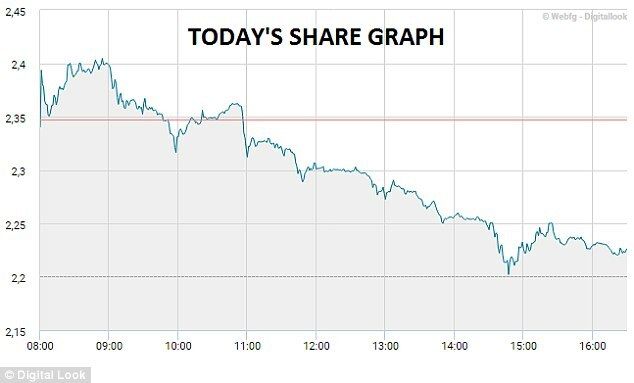 However the shares closed down more than 5 per cent at 222.65p this afternoon, making it the biggest faller on the FTSE 100 today. Tesco has been forced into a massive writedown of its stores’ value – as it and other big chains lose millions of customers and billions of pounds in sales to budget rivals such as Aldi and Lidl. The supermarket giant has also been forced to slash the price on shopping basket essentials such as milk, bread and eggs as part of a supermarket price war that has hit profit margins. The full-year loss was driven by £7billion of one-off items, including £3.8billion from a review of its store portfolio in light of industry conditions and declining profits. It also wrote down the value of work-in-progress by £925million following its decision in January not to proceed with 49 sites in its property pipeline. Reacting to the figures, Lord Haskins, the former chairman of food manufacturer Northern Foods, told Radio 4’s Today programme: ‘The absence of innovation within Tesco is startling. Retail guru Mary Portas warned the Government four years agothat the nation’s high streets had reached ‘crisis point’ with the rise of super-malls, out-of-town supermarkets and internet shopping. But now, the growing popularity of online grocery shopping and convenience stores are bringing a challenging outlook for Tesco’s huge out-of-town supermarkets. Consumers are switching their habits to now order large deliveries on a regular basis and then topping up their shopping by using local stores for items in the week. Research by a retail consultancy found while 62 per cent of shopping was done in a traditional supermarket in 2009, this had fallen to 57 per cent as of last year. Some analysts believe that Tesco may combat the problem of making the large space in its out-of-town stores more profitable by doing a deal with Sports Direct for the sports retailer to open concessions within its supermarkets. The Portas Review found that out-of-town retail space had grown by 30 per cent over the previous ten years, while falling by 14 per cent in towns and cities. The first UK out-of-town supermarket was opened in 1964 in Nottinghamshire, by US-owned firm Gem – and it is now an Asda. And John Ibbotson, of the retail consultants, Retail Vision, said: ‘This is the official end of the Tesco era. There’s a long way to go yet before the agile new Tesco that is emerging becomes a profitable Tesco once again. 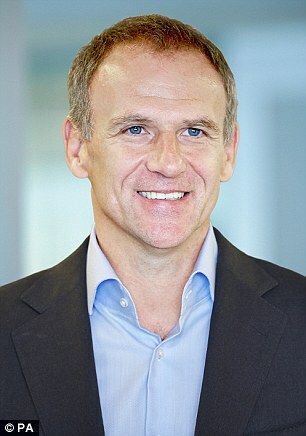 New chief executive Dave Lewis admitted today that the loss was a ‘really big number’ but insisted the group would no longer have a ‘slavish’ focus on its bottom line. The former Unilever executive said Tesco had drawn a line under the past and was now seeing some encouraging signs, with like-for-like sales performance improving in the most recent quarter. But he said: ‘The market is still challenging and we are not expecting any let-up in the months ahead. ‘When you add to this the fundamental changes we are making to our business and our offer, it is likely to lead to an increased level of volatility in short-term performance. ‘Our clear priority – and the one that will deliver sustainable value for our shareholders – is to improve consistently for customers. Much of the loss relates to the fact that the company’s enormous land bank, which had been earmarked for vast new big box stores, is worth much less than previously believed. The company spent billions on the sites before shoppers decided they no longer wanted to use giant hypermarkets and switched to smaller convenience stores. As a result it is being forced to cancel the building of more than 100 stores, close others, mark down the value of the land and sell it off for other purposes such as housing. The company is also cutting thousands of jobs with the closure of stores and its head office in Cheshunt, Hertfordshire, which will also generate big one-off costs estimated at £300million. The retailer is also planning to slash 6,000 posts from its head offices and stores in a bid to revive the group’s fortunes after a disastrous 2014, a report claimed earlier this year . Mr Lewis also wants to strip out an entire layer of management from Tesco stores, putting thousands of jobs at risks. The cost-cutting drive will also see the closure of the chain’s corporate headquarters in Cheshunt, Hertfordshire, it was claimed. According to the Sunday Telegraph, Mr Lewis wants to remove managers who work between the store manager and shop assistants in a dramatic overhaul of the way stores are run. In response, it is expected to pump about £250million into it each year, placing more stress on the company’s already stretched finances. 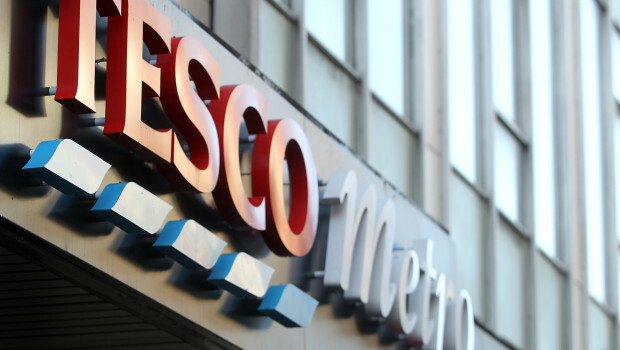 Tesco has lurched from crisis to crisis over the past three years and is currently at the centre of a Serious Fraud Office inquiry into allegations it misled shareholders and the City by overstating profits by £263million last year. It is also under investigation by the supermarket ombudsman over allegations it bullied and ripped off suppliers in the past. The business axed the chief executive, Philip Clarke, in favour of new boss, Mr Lewis, who was parachuted into the company in September in order to reverse the declining fortunes. One of his first tasks was to oversee the suspension of nine of the company’s most senior executives, most of whom have since left the business, over the profits accounting scandal. It is understood Mr Lewis, dubbed ‘Drastic Dave’ during his tenure at Unilever because of his approach to cost cutting, has been keen to dump all of the bad news in the annual profit and loss figures to be announced today. This low benchmark will be used to judge the progress of the business. On a positive note, Mr Lewis has already set out a new policy to improve relationships with suppliers and there are signs that a slump in sales has been halted. Takings over the three months to the end of March were up fractionally on the same period the year before. Retail expert Clive Black, from stockbrokers Shore Capital, had predicted today’s announcement would be a ‘horror show’ for the retail giant. Angela Ahrendts, Apple’s senior vice president of retail, recently sent a video message to Apple employees to discuss details regarding the launch of the Apple Watch and the new MacBook. French Apple blog Mac4ever obtained the video and posted it online. The main point of the memo seemed to be clarifying the Apple Watch’s retail availability on April 24 — which is when the watch officially launches. Ahrendts said allowing customers to order the Apple Watch online only was a hard decision, but the Apple executive team will keep employees updated as they receive more information. She also emphasized that the Apple Watch is an entirely new product category for the company. “It’s a new way of working, it’s a new way of doing things,” she said in the video. PARIS (Reuters) – Kering’s Gucci posted a bigger than expected drop in first-quarter sales on Tuesday, which it blamed on a transition period as its flagship brand works to regain momentum under a new creative and management duo. Gucci, which accounts for nearly 60 percent of Kering’s operating profit, saw comparable sales fall nearly 8 percent in the three months to March 31, while analysts had expected a drop of 3-6 percent. “Our priority is to give Gucci new impetus,” Kering Finance Director Jean-Marc Duplaix said. Kering sacked Gucci’s chief executive and designer in December to try to stem declining sales. It named Marco Bizzarri as CEO, after he oversaw Bottega Veneta’s stellar growth, and promoted in-house designer Alessandro Michele as creative head. Duplaix reiterated Kering’s previous prediction that Gucci’s performance would only start to improve in the second half of the year, once Michele’s collections hit the shelves. Sales at Gucci’s own retail network of 502 stores fell 4 percent in the quarter, including a 10 percent slide in the Asia-Pacific region as its performance in Greater China “deteriorated compared to earlier in the year”. However, retail revenue remained stable in North America and rose 6 percent in Western Europe. Kering said it planned to continue pruning Gucci’s portfolio and beefing up entry-level products such as small leather goods and luggage which had not been performing well. The brand would also continue investing in online retail. Asked about moves by rivals such as Chanel to cut prices in Asia to reduce discrepancies with Europe, Duplaix said the company did not want to react immediately. For certain brands and products there could be some harmonisation across regions, excluding value added tax or customs duties, he said. Kering’s No.2 luxury brand Bottega Veneta also saw a slowdown in the first quarter, with revenue growth of 3.1 percent on a comparable basis. Duplaix blamed poor trading in Hong Kong and Macao, where tourist flows dried up after last year’s pro-democracy protests and where Bottega Veneta made 19 percent of its sales. Kering’s Puma sports brand posted a 13 percent rise in sales to 825 million euros (594 million pounds) in the first quarter, up 4.5 percent on a comparable basis. Duplaix said he expected Puma’s sales growth in the second quarter to be similar to the first. Duplaix added that the sale process for Kering’s Sergio Rossi shoe brand was “ongoing” and expected to clinch a deal before the end of the year. Baltimore — Pandora Jewelry, in collaboration with Walt Disney Parks and Resorts, has opened dedicated shops within two Disney merchandise locations: Uptown Jewelers in Magic Kingdom Park at Walt Disney World Resort in Florida and La Mascarade d’Orleans in Disneyland park in California. Both locations carry Pandora’s newly released spring 2015 Disney jewelry collection and the Disney Parks collection, as well as the brand’s full assortment of jewelry. The redesigned Uptown Jewelers is reminiscent of a Victorian era collectibles shop, echoing the nostalgic style of Main Street U.S.A., the first themed land within Magic Kingdom Park. With classic decor and ornamental touches, Uptown Jewelers reflects the prosperity and optimism of early 20th century America. The newly renovated La Mascarade d’Orleans, located in the heart of New Orleans Square in Disneyland park, brings the festivities of the French Quarter to life. The Disney owned and operated stores feature Pandora retail fixtures and displays within exterior shop windows. British department store House of Fraser said it would open its first shops in China next year and start trading there online, as strong demand in Britain helped annual profits rise 7 percent. The company, sold a year ago to China’s Sanpower Group, said on Tuesday three large stores in Nanjing, Chongqing and Xuzhou would open in 2016/17 and that online trading would begin there and in markets such as Australia. A second franchise store in Abu Dhabi will also open soon with additional openings in the Middle East set for 2016. The company on Tuesday posted record sales of 1.3 billion pounds ($1.93 billion) in Britain, where it trades from 59 stores. Adjusted core earnings for the year to Jan. 31 rose to 64.4 million pounds. Revenue at stores open more than a year rose 2.2 percent and were up 32 percent online after a website revamp and improved delivery options, the firm said. Sales for the first 11 weeks of its new fiscal year were up 6.5 percent with a further improvement in its gross margin rate. Pep&Co, the new budget fashion chain founded by former Asda chief executive Andy Bond and former Sainsbury’s Tu boss Adrian Mountford, has announced plans to create 500 new jobs across England, Wales and Scotland by the end of August. The news comes as the fashion retailer confirms that it plans to open an initial 50 stores over an eight-week period starting in July, with the first to open in Kettering. Other confirmed locations include Bristol, Burton-on Trent, Birkenhead and Ellesmere Port in Liverpool; Boscombe and Eastleigh in Hampshire; Corby and Kettering in Northamptonshire; Hemel Hempstead in Hertfordshire; Maidstone in Kent; Redditch, West Bromwich & Yardley in the West Midlands, Hull in Yorkshire and Warminster in Wiltshire. There will also be around 40 new positions at its head office in Watford, Hertfordshire, as well as 40 roles created by its distribution partner Clipper Logistics in Swadlincote, South Derbyshire. Pep&Co is backed by 20 million initial investment and will sell fashion and home ranges aimed at mums and children, an offer it states has “become hard to find” on the high street. 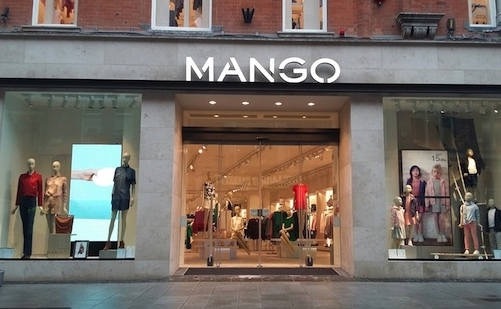 The chain has also already attracted a number of senior retail people including Mark Jackson from Heal’s taking the role of chief financial officer and Cathy Haydon, former Marks and Spencer head of merchandising in womenswear, who was named trading director. Designer outlet Bicester Village is set to add 28 more shops and 519 extra parking spaces, after plans to demolish a nearby Tesco were given the green light. The outlet in Oxfordshire, which attracts 6 million of visitors each year, will increase in size by 24 percent, bring its total store count to 158, once the building work is completed, according to the plans approved by Cherwell District Council. The expansion will add an additional 5,191 square metres of retail space and accommodate 28 new units, in addition there will be new parking spaces, highway improvements to reduce congestion, as well as a new park-and-ride facility and a footpath to the train station. Premium womenswear retailer Phase Eight has received a Queen’s Award for Enterprise, one of the UK’s most prestigious business accolades, in recognition of its “exceptional international growth”. Phase Eight known for its occasional wear has been recognised for building upon its customer base in the UK and Ireland with more than 100 stores and concessions across 12 international markets in Europe, the Middle East, Southeast Asia and Australia, both standalone, and in combination with strong local partners, at the point of nomination. 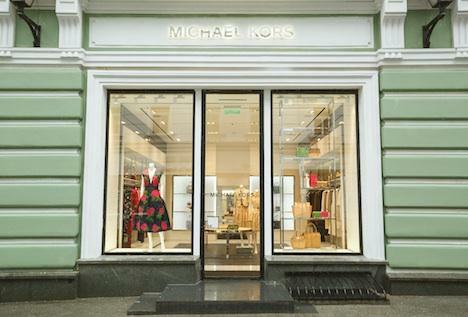 Since being nominated, the womenswear retailer has continued to expand and has opened a further 30 points of sale in international markets including Hong Kong, Mexico and the USA, where a partnership has been established with Bloomingdales. The Queen’s Awards are currently celebrating their 50th anniversary as the most coveted commercial prize in business, and this year it honoured 105 businesses with awards for international trade, 24 for innovation and 12 for sustainable development. All winners, including Phase Eight will be able to use the Queen’s Award Emblem as a symbol of quality and success for a period of five years. Primark has increased half-yearly sales by 15% since last year, boosting retail profits for Associated British Foods, which owns the budget fashion chain. 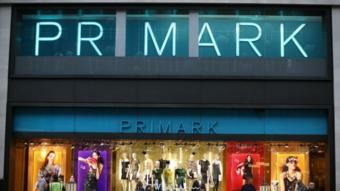 Operating profits for Primark were £322m in the six months to February, up from £298m in the same period last year. AB Foods credited a strong Christmas trading period for Primark. But the group’s profits before tax were down 51% to £213m, because of losses in its sugar and biofuel businesses. AB Foods’ chief executive, George Weston, said: “This is a sound trading result with significant progress made in operating profit by Primark. “As expected, profitability at AB Sugar was substantially lower as a result of much weaker EU sugar prices. Spur Ethopia: Neway, Teodros, Pierre, Ronel, Derick, Yonas and Mulugeta. The Ethiopian economy has registered double-digit GDP growth rates since 2002. This substantial economic growth has stimulated a large and aspirant middle class with a demand for world standard restaurants. The many foreign nationals living in Addis Ababa, which is home to the African Union, UNECA (United Nations Economic Commission for Africa), several NGOs and other international organisations, as well as over 110 diplomatic missions match this demand. Ethiopian Airlines, considered the biggest, fastest growing and best performing African airline, uses Addis Ababa as its hub for international flights. All combine to create and maintain a significant and growing market for high quality restaurants. At present, the only international eateries are offered by a few branded hotels. There are no international franchises in the country; the Spur Steak Ranch at Abyssinia Plaza will be the first. He is confident the Spur and Panarottis brands will work well within the history and culture of Ethiopia. Eating meat is a widespread and popular tradition throughout the country; and their long-standing diplomatic relationship with Italy has engendered a taste for Italian cuisine in the country, particularly amongst the youth and the middle-income demographic. Cucina will initially create 60 new jobs in Addis Ababa. No doubt, the knowledge transfer and being the first international specialty brand franchise in the country will pave the way for others. The confidence from international travellers recognising an outstanding brand and the ability to provide consistent high-quality products and services should inspire other local business to meet excellent standards of hygiene and service. The Spur concept of a kids play facility will also be a first in Ethiopia. 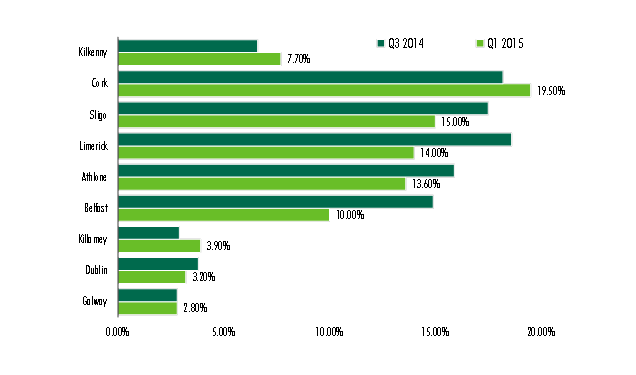 High street vacancy rates have improved in the majority of Irish cities and towns monitored by commercial property consultants CBRE over the past six months. According to CBRE, in six out of the nine locations surveyed over the last six month period, high street vacancy rates have improved. The property consultants say this result is in stark contrast to this time last year, when rates were moving in the opposite direction. The prime high streets in Belfast and Limerick showed the most significant reduction in ground floor vacancy in the last six months, contracting by between 3% and 4% to stand at 10% and 14% respectively. Sligo, Athlone and Dublin also showed an improvement in high street occupancy over the period, with the capital’s ground floor vacancy rate now standing at 3.2%. Cork, Killarney and Kilkenny showed an increase in ground floor vacancy between Q3 2014 and Q1 2015, however the agents say they are aware of a number of deals agreed in these locations which should alleviate the vacancy in coming months once signed. 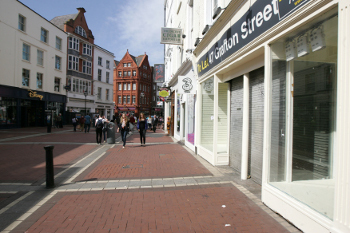 According to CBRE, prime Zone A retail rents on Dublin’s Grafton Street increased to €5,500 per square metre per annum in Q1 2015, while rents elsewhere remained stable over the quarter. The property consultants in their report also note that 2014 was a strong year for retail investment across the country as over €1 billion was invested in the sector, followed by a further €36 million in Q1 2015. On the back of this strength in investor activity, CBRE that prime retail yields now stand in the order of 4% having contracted by 50 basis points since Q3 2014. Philadelphia-based private equity firm Versa Capital Management has closed a deal to buy teen apparel retailer Wet Seal, which has gone private and filed for Chapter 11 bankruptcy protection in January. The troubled retailer will continue operating 173 stores and maintain its headquarters in Foothill Ranch in Orange County, California. The retailer had closed two-thirds of its stores before initiating bankruptcy proceedings. Last fall the company also abandoned its Arden B brand and brought back former CEO Edmond S. Thomas, who was Wet Seal president and CEO from 2007 to 2011. Thomas will stay on as CEO. Going private and having the protection of Chapter 11 and now the backing of a private equity firm means that Wet Seal has a fighting chance of coming back, but it will be a uphill climb. The brand is beloved but beleaguered, and the company has a lot of catching up to do when it comes to boosting its e-commerce and moving away from its heavy promotional approach to attracting customers. A new online pound shop has launched – with a catch. 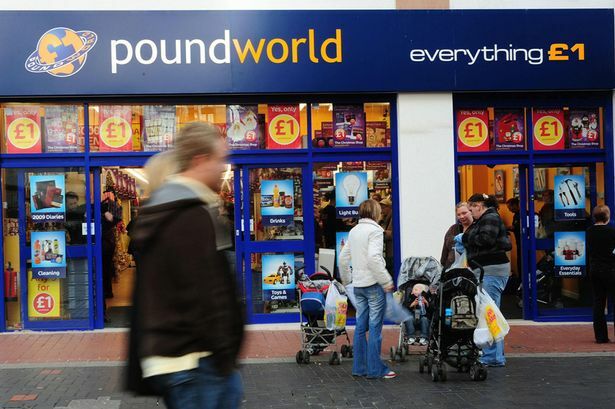 Bargain hunters visiting the new Poundworld Plus website will need to spend a minimum of £20. Then there is the £3.95 delivery charge – or from £5.95 if you plump for the next day service. The site has been launched by family-run discounter Poundworld, which has 270 high street shops. The cyber store has more than 4,000 cut price products, including favourite household brands such as Colgate, Coca Cola and Johnsons. Despite its name, there will also be more than 1,000 items costing more than a quid. Deliveries across Europe are planned for later this summer. Yorkshire based Poundworld is run by father and son Chris Edwards and son Chris Edwards Junior. “As a retailer it’s important for us to constantly progress and evolve with the times and so we’ve had a dedicated team working on the site for over one year to ensure that the shopping experience we are offering is easy to use. Poundworld had previously worked withe Steve Smith, founder of rival Poundland, to launch another online venture but pulled out in August last year. The delivery charges are even more for heavy items. Products weighing up to 60kg cost £12.95 to mainland Britain, and as much as £29.95 to Ireland. First Muji, then Uniqlo, then Reiss – Toronto is quickly becoming home to a who’s who of some of the world’s coolest retailers. 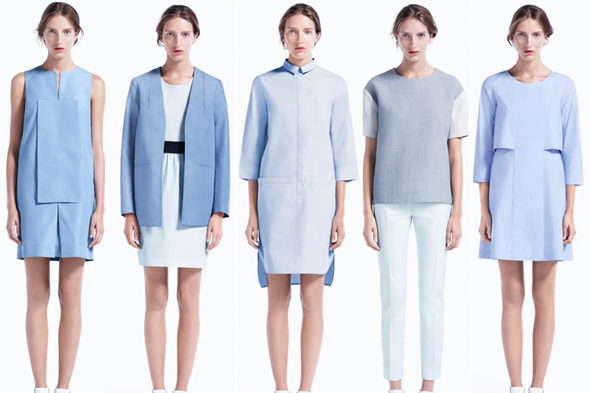 Lovers of the avant-garde, this new one is for you: COS, an upscale sister line to H&M, has announced it’s finally opening locations in Canada, a year after it first announced it was heading to the U.S. The Toronto location is set to take over the former Tiffany store at 85 Bloor St. West this fall, promising three floors of retail boasting 6738 square feet of retail area. The new shop joins another location in Montreal, as well as shops in New York and L.A. and a fleet of locations across Europe. As far as the clothing itself: COS designs are typically ultra-minimal, ranging from demure and work-appropriate to sculptural and severe (with a few punches of colour and print to brighten things up – this spring, they’re all about a kelly green). Basically, if you lust fruitlessly after Marni or Celine, you’ll be able to ease the pain here. RIYADH, April 20 (Reuters) – Saudi Arabia has put security forces on alert for a possible militant attack on a shopping mall or energy installation, Interior Ministry spokesman Mansour Turki said on Monday. “There was information about a possible act targeting a mall or Aramco installations. We passed this information to the security forces to be on alert,” he told Reuters. Turki said he had no further information about the threat. Saudi Arabia, the world’s biggest oil exporter and key strategic ally of the United States, has been a target of jihadist militant groups for years, including al Qaeda and Islamic State. Riyadh has been carrying out air strikes against Iran-allied Houthi rebels in neighbouring Yemen since March 26 in a conflict in which nine members of its security forces have been killed by cross-border fire. This month Saudi police announced they had detained a Saudi citizen suspected of shooting dead two police officers and injuring two others in two separate attacks in Riyadh. “Saudi Arabia is targeted by terrorism. Usually in such situations (conflicts), there are attempts by terrorist groups to take advantage and carry out attacks,” said Turki. 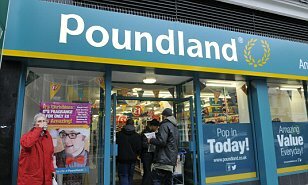 Items on sale in Poundland are sometimes up to 50 per cent more expensive than those sold in supermarkets, new research has shown. The budget retailer last week announced that sales exceed £1billion for the first time last year becoming Europe’s largest single-price discount retailer. The company’s success has been put down to shoppers hunting bargains and taking sales away from Britain’s four big supermarkets, Asda, Tesco, Sainsburys and Morrisons. But according to research in the Sunday Times, shoppers in Poundland are being charged more per unit of certain products compared with bigger retailers. The research points out that at Poundland shoppers can buy a 250g box of Kellogs Cornflakes for £1, while at Tesco they can buy a 750g box of the cereal for the same price. A bag of Galaxy Minstrels with a weight of 105g also costs £1 in the shop but a bigger bag at at 153g can be purchased in Asda for 98p. Equally two pints of mile cost £1 in Poundland, but shoppers can get four pints in Asda for 89p. Also a pack of six Tunnocks Tea Cakes is 81p in Tesco, compared to £1 in the budget brand. Originally founded by entrepreneur Steve Smith in 1990, the company snowballed from a small private enterprise into a High Street revolution, which involves buying up unwanted stock and end-of-lines, then swiftly getting them into the shops to sell cheaply. 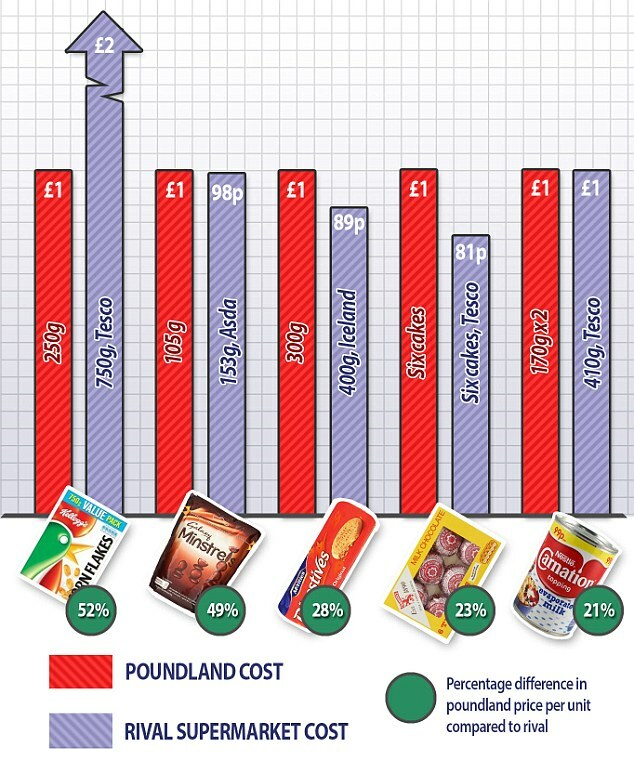 However, the research does point out that there are still many products cheaper at Poundland compared to other supermarkets. These include a Fray Bentos steak and kidney pie, which is £2.20 in Sainsbury’s and a 24 pack of Jaffa Cakes, which are £2.29 in Tesco. However, a spokesman for Poundland told the newspaper: ‘We conduct price surveys every two weeks against the supermarkets and we believe we are 40% cheaper or more against 1,000 branded products. Comparing either supermarket promotions or larger pack sizes with our prices isnot a meaningful comparison. The company’s discounting strategy has since been adopted by bargain chains such as Aldi and Lidl, all of which have eaten into a market once dominated by the supermarket chains such as Waitrose, Tesco and Sainsbury’s. Back then, shoppers were beginning to desert the High Street for superstores, but Mr Smith and his Poundland chain – which he sold in 2000 for £50million – were a lifeline that helped keep it afloat. 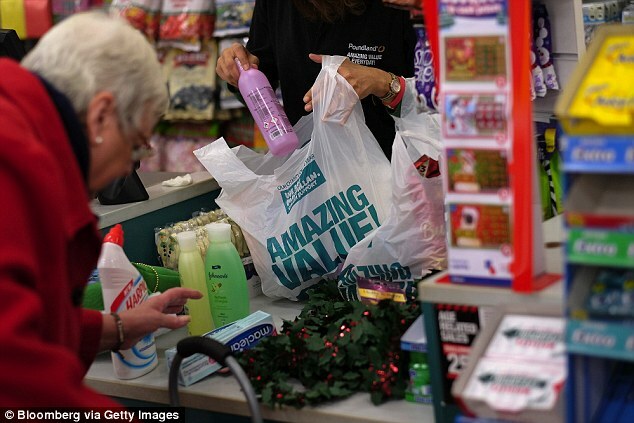 Poundland said it had opened 60 new stores in the UK and Ireland and had a strong pipeline of openings for the new year. Meanwhile the retailer warned on Friday it may walk away from its planned £55 million acquisition of rival 99p Stores rather than be subject to a lengthy probe by the UK competition watchdog. Britain’s Competition and Markets Authority (CMA) said last week the agreed deal could result in a substantial lessening of competition and would be subject to a further investigation in the absense of undertakings, such as selling some stores. The company said in a statement: ‘Poundland has decided not to offer remedies to the CMA’, adding it had written to the regulator to request a Phase II review be suspended for three weeks. Such a review could take as long as six months. FormRoom has worked with H&M to transform the Lounge on the store’s fourth floor at its Oxford Circus store into a Conscious Capsule Space. For the re-activation of its conscious message globally, H&M wanted to create a space in its flagship store in the UK. The team wanted to keep the space fairly clean and simple with a limited colour palette. The first idea was to have the ‘Closed loop’, which is such an important part of the H&M Conscious campaign, vinyled onto the floor so visitors could follow this path to navigate through the space. The space seeks to communicate the brand’s Conscious message to its customers. Visitors realise the steps they are taking to provide more sustainable and environmentally conscious fashion alternatives. The aim is for customers to be able to find out more through media content and interaction in a gallery/exhibition space. The shop-fit was kept minimal with lots of white and a touch of plywood. Interaction was incorporated through a touch screen, a video wall and a live social media feed. Visitors are encouraged to take a selfie in the bespoke photo booth designed by FormRoom, sharing their photos using the hashtag #Hmclosetheloop for a chance to win a prize. FormRoom created a world map from plywood with CNC to get across the transport message and built simple frames to suspend the clothes in. The central installation was made using unwanted garments that the team cut into strips and threaded through hexagon mounts. Apple retail chief Angela Ahrendts on Thursday sent a memo to Apple employees that explained the shipping delays for the Apple Watch, and she hinted that the company would return to iPhone-style launches with lines outside its stores. Ahrendts also says people will still not be able to walk into an Apple Store and buy an Apple Watch — and that’s going to continue in May. A previous memo explained that initial orders for the Apple Watch would take place only online, stopping people queueing up outside stores from buying them. One way to think about the launch of the Apple Watch is that the launch was if anything too successful and that Apple underestimated the number of people who wanted the device. But another way of thinking about the Apple Watch launch is that it didn’t go anywhere near as smoothly as Apple planned. Ordering online and trying on the watch in stores was meant to be a smooth, easy ordering process. Instead, the shipping date for many models of Apple Watch has been delayed until June. Apple even removed the April 24 availability date from the Apple Watch page on its website, signalling that there are major delays with shipping the device. On behalf of Tim and the rest of the executive team, I want to thank you very much for making last Friday’s debut of Apple Watch unforgettable. The Previews going on in our stores and support from our Contact Centers are unlike anything we have done before. The feedback from customers is overwhelmingly positive. They are excited about Apple Watch, and your teams are creating fantastic experiences for them. Customers who pre-ordered will start receiving deliveries next Friday as planned, and I know you will do a great job helping them get set up. Many of you have been getting questions asking if we will have the watch available in stores on April 24 for walk-in purchases. As we announced last week, due to high global interest combined with our initial supply, we are only taking orders online right now. I’ll have more updates as we get closer to in-store availability, but we expect this to continue through the month of May. It has not been an easy decision, and I want to share with you the thinking behind it. It’s important to remember that Apple Watch is not just a new product but an entirely new category for us. There’s never been anything quite like it. To deliver the kind of service our customers have come to expect—and that we expect from ourselves—we designed a completely new approach. That’s why, for the first time, we are previewing a new product in our stores before it has started shipping. Apple Watch is also our most personal product yet, with multiple case and band options because it’s an object of self-expression. Given the high interest and initial supply at launch, we will be able to get customers the model they want earlier and faster by taking orders online. I know this is a different experience for our customers, and a change for you as well. Are we going to launch every product this way from now on? No. We all love those blockbuster Apple product launch days—and there will be many more to come. They’re the moments where you, our teams, shine. And our customers love them as well! For customers who want to buy a watch, please continue to help them place their order online. Also make sure they know that, wherever they buy, Apple will provide them with a great Personal Setup experience — either online or in our stores. This includes syncing their Apple Watch with their iPhone and teaching them about all the incredible features of their new Apple Watch. Mothercare plans to cut up to 140 shopfloor managers as part of an overhaul of the loss-making UK chain. The company said 620 middle managers had been put at risk of redundancy, with 120-140 jobs expected to go as new roles are created. 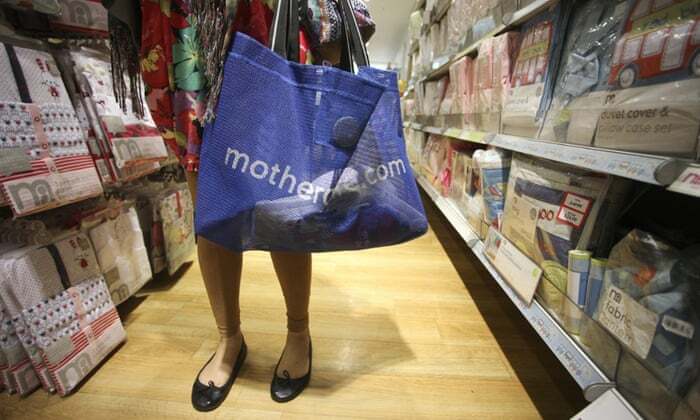 Mothercare employs about 5,000 people in its UK shops. The move would save £1.3m and help reduce Mothercare’s payroll costs to 12% of sales, which compares with other chains who aim to operate below 10%, the baby goods retailer said. The changes are being overseen by the new chief executive, Mark Newton-Jones. Since taking the reins at Mothercare a year ago, Newton-Jones fought off a £266m takeover bid from US rival Destination Maternity and has embarked on a mission to modernise the high street chain, which he described as old-fashioned and in need of a complete overhaul. A trading update on Thursday showed UK like-for-like sales climbed 5.1% in the fourth quarter – the fourth consecutive quarter of like-for-like sales growth – after Newton-Jones decided to run fewer promotions and discounts. International sales were even stronger, rising 11.4% in constant currencies. However, currency movements reduced the actual growth figure to 5.5%. Newton-Jones said it is “still early days in our turnaround” but hailed the progress made so far. His turnaround plan also involves moves to improve customer service, introducing more upmarket product ranges and thrashing out better deals with suppliers. Debenhams has posted positive results for the first half of its financial year, beating analysts’ expectations. The company’s share price rose 6.6%, reaching a 15-month high, after the retailer reported profit before tax rose 4.3% to £88.9m for the 26 weeks to 28 February. Debenhams said its focus on online delivery – up 12.7% – was part of its success. The company has also cut its debt by £62.4m, to £297.3m. 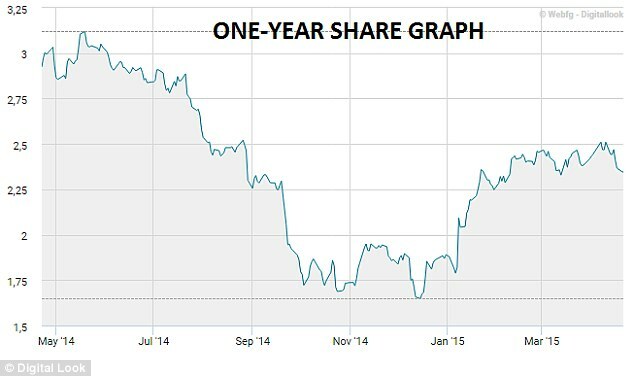 The news comes despite a share price fall after the Christmas period. 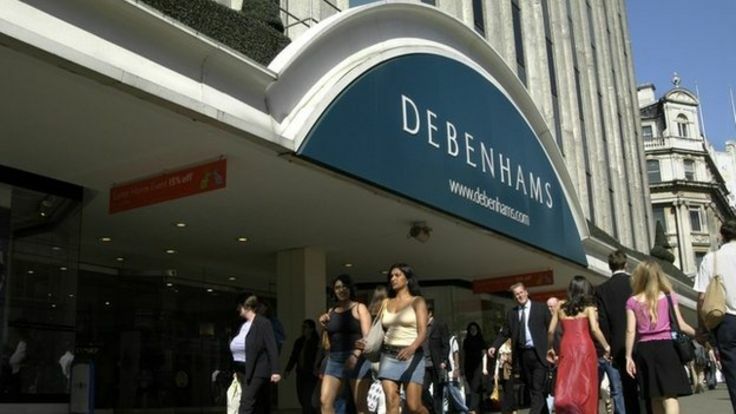 Debenhams said it would continue with its current strategy for sustainable growth in the longer term. It also said it had cut down the amount it spent on promotions. “Overall we delivered a good first-half performance, despite a difficult clothing season in autumn and we are on track to achieve full-year expectations,” said chief executive Michael Sharp. Debenhams – Britain’s second-largest department store chain – said almost half of its online sales were placed through a mobile phone or tablet. But this is not necessarily good news, say experts. Retail analyst Freddie George from Cantor Fitzgerald warned: “We remain concerned that the department stores are capital-intensive and need to be furbished to a higher standard to attract shoppers. One of America’s most internationally known designers is taking his talents and designs to South America, Sao Paulo, Brazil to be precise. On Tuesday, April 14th, 2015, Ralph Lauren will open a 9,100 square foot store in one of the largest tourist destinations in the world. The store will feature Ralph Lauren men’s wear and women’s wear collections, in addition to accessories, footwear, and timepieces. “I have long been fascinated by the Brazilian lifestyle and culture and believe our first store in São Paulo will fit well into a country that appreciates traditions of true quality and luxury,” Ralph Lauren, Chairman and CEO, said in a statement. Of course, when your name is synonymous with American class and luxury only the best can be expected from you. The store already sounds like quite a sight to behold with with storefront archways made of cast stone and white plaster, along with two water fountains that flank the grand entrance. The layout of the store includes alternating smaller and larger rooms (a key aesthetic to Ralph Lauren stores), reclaimed oak beams, stained concrete floors with oak ties, hand-finished plaster walls, and painted white furniture. The decor also includes hand-woven rugs and antique fixtures. If the architecture won’t lure you in perhaps the liquor will, as the store will also include a bar that will serve cocktails. The design aesthetic was meant to blend Brazil’s rich residential ranches with Lauren’s signature equestrian style. When you enter the store there is a room housing the women’s collection on the left, and on the right is a room housing Ralph Lauren men’s Purple Label. There is also a watch salon for Ralph Lauren time pieces. Being an entire lifestyle brand, Ralph Lauren doesn’t just stop at the clothes either. Accents of Ralph Lauren Home, such as candles and books, are placed throughout the store and are available for sale. The store will be located in Cidale Jardim, a fast growing luxury retail mall that is home to several other luxury brands, including Jimmy Choo, Carolina Herrera, Chanel, Dior, Prada, Gucci, Armani, and Cartier, just to name a few. Ralph Lauren sees big potential in the Brazilian market, and with Europe struggling and the Asian market being more sluggish than expected, luxury retailers are turning their focus to other countries where the luxury good markets is growing. David Lauren, Executive Vice President of Marketing, Advertising, and Communications at Ralph Lauren, has said that he would like the company to expand outside of Sao Paulo, but there are no definite locations planned yet. Brazil’s seasons operate the opposite of North America’s, however, the store is still expected to sell on a North American schedule. Ralph Lauren’s presence in Brazil is seen as long overdue. Robert Burke, CEO of Robert Burke and Associates, a top NYC consulting firm, said, “The São Paulo customer has a very solid understanding of luxury and a high taste level and loves well-executed brands, and I’m sure it will be successful.” Already a global fashion super power, this is just another star on Ralph Lauren’s impressive map. schuh has unveiled its new interior retail concept, twentyFIFTEEN, at its Bluewater store in Kent. The redesign has been masterminded by MRA Architecture & Interior Design. The design team also took influence from the work of contemporary artists Aakash Nihalani and Will Dorner to develop a concept based on improved sightlines, simple modular forms, bold colour, low-tech construction techniques and sustainable materials. One of the most contraversial changes is the adaption of the classic schuh lozenge. The team devised a graphic treatment of shooting tangential lines and overlapping tonal fields-starburst. schuh is renowned for its wide range of brands and breadth of product, however this can present some visual merchandising difficulties. MRA addressed these issues by introducing lightweight modular midfloor units that are now shoppable form all sides. These units make the perimeter system work harder and together these elements increase visibility for the customer. schuch was an early adopter of the multi-channel approach to retailing and this new concept showcases all of these assets. Digital kiosks are located throughout the store for product look-up and sales transactions further enhancing the brand experience. ‘The new design brings together all of the technology projects that we’ve been working on for the last couple of years under one roof. This really does allow us to deliver a streamlined customer journey and to lever all the benefits we get from being an omnichannel retailer,’ explains Phil Whittle, head of store operations, schuh. The twentyFIFTEEN concept will form the blueprint for all new schuh stores going forward.‘In developing the twentyFIFTEEN concept, MRA was first and foremost inspired by schuh as a people-centred company. It’s a business with a very open and inclusive vision, great product choice and wide customer appeal, supported at all levels by a highly motivated and knowledgeable workforce,’ says Anshu Srivastava, managing director of MRA. This is how Aldi is killing Waitrose in Britain’s supermarket price warAldi has been called the world’s best grocery chain. The German company has more than 8,000 stores around the world and is rapidly expanding. Aldi attracted over half a million new customers this year and hurdled over Waitrose to become the sixth biggest supermarket in the UK. One reason people love Aldi? The brand’s famously low prices. Its low prices meant that the chain saw a 7% increase in basket sizes and an increase in sales of 16.8% in the latest period, much higher than any of its UK competitors. Aldi employs a few smart strategies to allow them to sell groceries for so cheap. Unlike Sainsburys, ASDA and other UK supermarkets, you won’t find many brand names at Aldi. About 90% of the products at the grocer are private-label. By eliminating the middle man, Aldi can pass the savings on to consumers. Aldi sticks to private labels and offers fewer items than the typical grocery store, a strategy also used by Costco. While the typical store offers 40,000 items, Aldi offers just 1,400. Selling fewer items increases sales volume and helps drive discounts. Aldi uses boxes instead of shelves when possible, according to frugalbites.com. This frees up workers from having to stock shelves constantly. Once a product runs out, the workers simply replace it with a box. Stores utilize natural and energy efficient lighting to cut down on utility costs. Aldi has designed a business that is so efficient that it needs fewer workers than the average grocery store. The company arranges for milk to arrive on racks so it can be restocked in seconds, according to frugalbites. Produce is packaged together and sold so cashiers don’t have to weigh items at check-out. Even Aldi’s private-label packaging is designed for easy scanning with its check-out systems. Aldi asks customers to bring bags from home for their groceries. If they want bags, they have to pay a small fee for them. Customers also pay a quarter deposit to use a shopping cart at Aldi. Anyone with a Nectar card shopping at Sainsbury’s this weekend is going to be disappointed. On Saturday the retail giant halved the number of Nectar points its customers will earn from now on in-store. As of Saturday, instead of getting two points for every £1 you spend at Sainsbury’s you will now only get one. And shoppers are no longer encouraged to use their own bags as the Nectar point you got for doing so has also been dropped. So is it time to change where you shop? Evidence emerged last week that some shoppers were already thinking of doing so, with others already having made the move since Sainsbury’s announced the changes to Nectar last October. “Rather than exchanging for offers that Sainsbury promote we decided, and have for a number of years, to save the points we accrued during each year and use them each Christmas,” says Leeds-based John Salt. The discounted stores such as Aldi and Lidl have made shoppers more focused on the price of goods – but for those who continue to value loyalty points both Tesco and Morrisons have schemes that reward. Tesco’s Clubcard scheme effectively offers a 1% discount on shopping at the supermarket if not swapped for special rewards. You earn one point for every £1 spent on shopping in-store or online, or £2 spent with partners Esso and Eon. Each point amounts to 1p, so spending £250 in Tesco will give you a £2.50 voucher. By exchanging points for partner offers, such as meals out and day trips, you may double or even quadruple their value. Every £2.50 voucher can be swapped for £10 vouchers for restaurants, travel and days out. You can also make points go further by cashing in on “Clubcard Boost” offers. These enable you to double the value of points when shopping at particular times of the year, typically over the Christmas period. The Morrisons scheme, introduced six months ago, compares like-for-like products at Tesco, Sainsbury’s, Asda, Aldi and Lidl. If they are found to be cheaper anywhere else, Morrisons will put the difference in points on your card. For every 1p difference, you’ll get 10 Match & More points. This may sound a lot, but each point is worth 0.1p. The latest supermarket share figures from Kantar Worldpanel in Ireland, published today for the 12 weeks ending 29 March, show a change at the top with SuperValu becoming Ireland’s largest grocery retailer. Tesco’s story is one of mixed performance. Sales are down year on year and as a result market share has dipped from 25.9% to 24.7%. 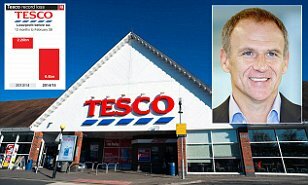 While Tesco will be disappointed to have lost its number one position, there are some positive signs for the retailer. It has not lost shoppers since this time last year and its customers are making the same number of shopping trips with increased average basket sizes – the most positive results for these metrics in more than two years. This points to an interesting battle over the coming months as SuperValu looks to remain in the top spot while Tesco aims to regain its advantage. Dunnes has continued to enjoy healthy growth, with a 4.9% sales increase improving its market share to 22.7%. This has been fuelled by larger baskets, with two additional items included in each average trip, and can be linked to the retailer’s ‘Shop and Save’ voucher campaign which incentivised shoppers to spend more on each visit. The performance of both Aldi and Lidl has remained impressive with sales growth of 11.1% and 9.7% respectively. Aldi has successfully recruited new shoppers to its stores, while Lidl shoppers are returning to the retailer more often. SuperValu has thanked its customers for their support, following today’s announcement from Kantar Worldpanel. Earlier this year, the brand announced it had reached its highest ever sales total in 2014 after recording sales of €2.58 billion. This follows the growth of SuperValu by 30% over a ten year period. Martin Kelleher, SuperValu managing director, said the feat is “even more important when you bear in mind that SuperValu is a brand that is essentially made up of independent retailers from across the country”. Kelleher said the group had achieved the top spot by focusing on three key areas; providing best quality Irish food; delivering “unrivalled expertise” through its people; supporting communities, charitable causes and initiatives like TidyTowns and putting money back into the local economy through its independent retail model. “Local ownership is one of our unique selling points: the fact that our stores are operated by people from the local community, the store owner knows his or her customers and what they want,” said Kelleher. 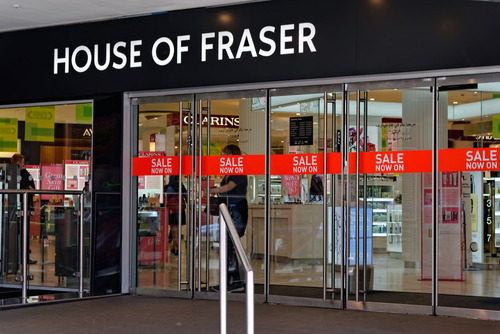 British department store brand House of Fraser will officially enter the Chinese market and its first batch of stores will be located in Nanjing, Xuzhou, and Chongqing. In April 2014, HOF was acquired by Nanjing Cenbest, a subsidiary of China Sanpower Group. With the transaction, Cenbest gained a 89% stake in this U.K. department store brand for GBP430 million. One year after the acquisition, HOF finally decided to enter the Chinese market. Sanpower Group will convert Cenbest’s Orient Department Store in Nanjing into a new HOF store. With a business area of about 25,000 square meters, the new store is expected to be launched in April 2016. Founded in 1849, House of Fraser is one of the oldest department stores in the U.K. and it also supplies products to the Royal family. Before being acquired by Cenbest, HOF had 61 chain stores in England and Ireland. Positioning as a medium- and high-end fashion department store, HOF boasted annual sales of GBP1.2 billion. Baywest Mall (South Africa) set to open with a bang on 21 May 2015. The company behind the Eastern Cape’s largest regional shopping centre promises a mix of big fashion, food and fun when it opens its doors on 21 May 2015. Introducing her new team of 23 dedicated staff members, Baywest Mall general manager Sonja de Necker last week said 96% of the 90000m² mall had been let, of which between 80% to 85% of tenants would be operational when the centre opens next month. “The investment of the major high-end brands shows confidence in the region. We are finalising a few more international brands coming to the centre,” De Necker said. The mall would celebrate opening season with weeks of festivities. The celebrations would last at least three months after the official opening, De Necker said. Announcing some of the 250 retail brands to operate over two floors, Baywest marketing manager Samantha Hewitson said it would include US baked goods retailer Cinnabon and popular global outlet The Bubble Tea Company. Hewitson said other firsts for the region included a Champagne and Sushi Bar, headed by Port Elizabeth restaurateur Mark Oosthuizen, owner of Fushin Sushi Bar in Stanley Street and at the Sunridge Village. Famous Brands would also unveil new-look stores and menus at its Baywest Mall eateries, including Fishaways, Steers and Debonairs. Other leisure activities making the centre a destination shopping centre like Canal Walk in Cape Town include a Fun Factory entertainment zone, the biggest drawcard being an ice rink where ice hockey teams and figure skating champions would be able to practice along with novices. An enormous screen would be in the mall’s food court. “The Fun Factory also has a state-of-the-art games arcade featuring games and entertainment attractions from the US,” De Necker said. It incorporates a bowling alley and a wing of Ster-Kinekor cinemas. The cinemas will include an Imax cinema and Ster-Kinekor’s luxury Cine Prestige. For the fashion-conscious, Hewitson said British high street fashion brand River Island, London footwear and accessory brand Dune, Canadian lingerie label La Senza and British fashion brand Topshop would all be tenants at the mall. Lifestyle clothing brand Quiksilver has promoted Pierre Agnes to the position of chief executive. Previously president of Quiksilver, Agnes has succeeded Andy Mooney who has now left the business. Agnes has worked for Quiksilver for 27 years and was appointed as president in 2014. His previous roles include global head of apparel for Quiksilver, Roxy and DC as well as president of Quiksilver Europe. Meanwhile, Quiksilver APAC region president Greg Healy will replace Agnes as president. The company has also announced that Thomas Chambolle, Quiksilver’s EMEA region chief financial officer, will be promoted to chief financial officer of Quiksilver. He will succeed Richard Shields who has resigned to pursue other opportunities although he will continue to serve as a consultant. McKnight said: “We appreciate Richard’s contributions, including pushing our cost reduction program, refinancing of the company’s senior notes and reducing inventory levels. I thank him for agreeing to assist Thomas during this transition. Gant launches first store at London’s St Pancras station. 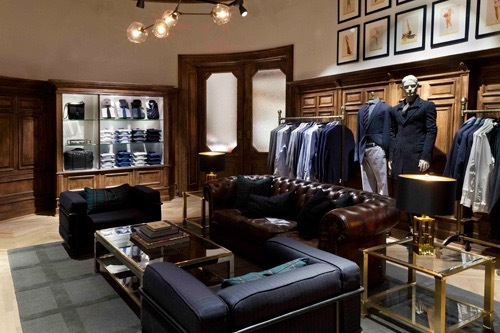 US clothing brand Gant has expanded its UK presence with the opening of a new store at London’s St Pancras station. The 1,860 square foot shop will sell the brand’s collections for both men and women as it looks to benefit from the one million commuters who pass through the station each week. The store is Gant’s 19th in the UK. Intelligent door sensors, LED fridge lighting and a new heat reclaim system are all set to help Marks & Spencer Newcastle’s energy efficiency by 20% – as well as enhancing the customer experience. Marks & Spencer (M&S) has unveiled its new-look eco-friendly store in Newcastle, which provides a number of green features. The Northumberland Street store has a 167 sq m green wall attached to its front, which is irrigated by rainwater and has been made using nearly 16,000 individual plants. Other eco-conscious features include intelligent door sensors, LED fridge lighting and a new heat reclaim system that are all expected to contribute to a 20% improvement in energy efficiency at the store. The official launch of the new look store was marked with an event that also celebrated the start of British Summer Time, and included a ‘selfie spot’ for visitors to take their photograph by the #greenwallselfie. The opening of the new store comes in the week M&S is set to announce its fourth-quarter results statement. On Thursday, the retailer will update the market on its most recent trading performance, which comes after a Christmas period that was disrupted by online order distribution problems and saw worse than expected sales figures. (Reuters) – British toy store Hamleys opened its largest shop in the world on Tuesday in central Moscow despite an economic downturn in Russia that is forcing buyers to cut back on spending. Launched amid fanfare after seven years of renovation work in what was the Soviet-era department store Detsky Mir (Children’s World), the new shop covers 6.750 square metres and features a rocket made of nearly two million Lego bricks. “We want to open much more in Russia. We consider it a fantastic market for children’s toys retail sales, a growing market,” Hamley’s chief executive Gudjon Reynisson told Reuters at the opening ceremony attended by officials including Moscow mayor and close Kremlin ally, Sergei Sobyanin. Reynisson’s upbeat comments contrast with growing economic hardship in Russia because of low prices for oil, its main export, as well as a slide in its rouble currency and Western economic sanctions imposed over the turmoil in Ukraine. A spike in food prices also followed Moscow’s ban on imports of many groceries in response to the sanctions slapped by the European Union and the United States. Analysts polled by Reuters expect the Russian economy to contract by 4.3 percent in 2015 and see inflation coming in at 13 percent at year-end. Salvatore Ferragamo has opened first monobrand store in Denmark, inside the prestigious Department Store ILLUM, in Copenhagen, on Østergade, marking the launch of the Florentine brand’s direct presence in Scandinavia. The new Salvatore Ferragamo store, which extends over a total surface area of about 180 sqm, and has two display windows overlooking the street, offers Men’s and Women’s leather collections, together with silk accessories, eyewear, watches and fragrances. Access to the store is both from the street and from inside the department store ILLUM, through a passage made of slats of light and stone. Founded in 1891, ILLUM is the premium shopping destination in Scandinavia, with a vast selection of the best international fashion and luxury labels, as well as a variety of Scandinavian brands. In 2013, ILLUM was acquired by La Rinascente as part of the retailer’s strategic plan to expand abroad. Amazon unveiled its new Dash Button Tuesday that lets users order everyday household items with the press of a button. Available to Amazon Prime members on an invitation-only basis at launch, the adhesive buttons are connected to users’ WiFi—once pressed, an order is automatically sent to Amazon and shipped. Amazon only responds to the first press of the button until the order is delivered. Amazon is currently working with a select number of brands, from diapers to toilet paper and laundry detergent. Although a little out there, this new device is helping Amazon become ever more entangled with consumers’ everyday lives, offering them a simple solution to stocking household items that avoids a trip to the store or online. The retailer is also offering the service to product makers, according to CNET, where they will be able to integrate automatic ordering into product design. For example, if a printer detects low ink levels, it will order a new cartage from Amazon, again reducing the need to think about reorders.